An all-natural formula containing Blue Green Algae, Sea Salt and Minerals to help reduce tartar build up and strengthen teeth and gums. Deep Sea Spearmint freshens breath and Perilla Seed Extracts neutralise bacteria and sugar acids. Naturally rich in calcium, proteins and antioxidants. 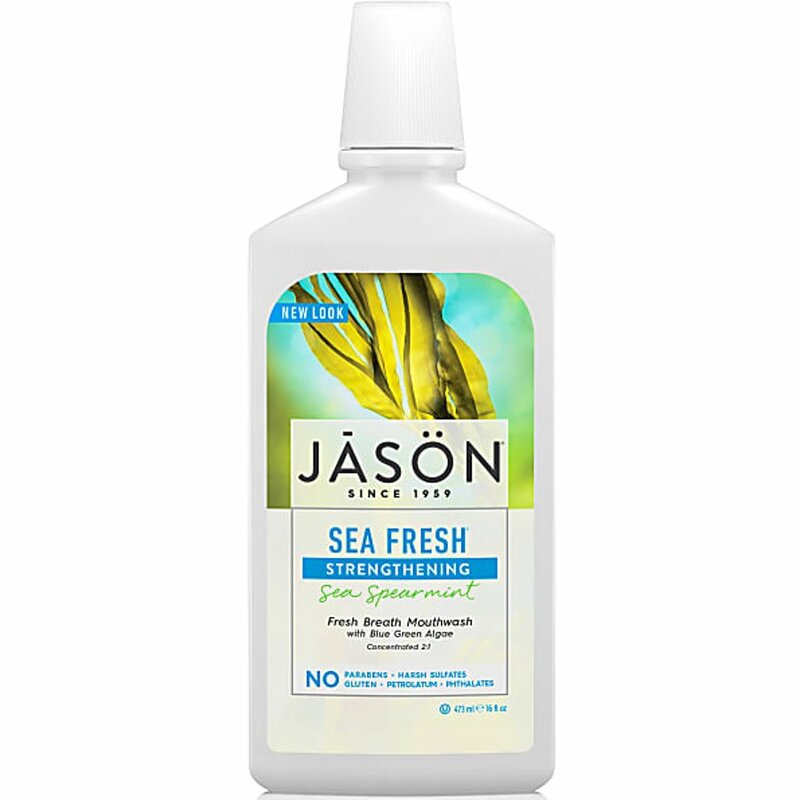 There are currently no questions to display about Jason Sea Fresh™ Strengthening Sea Peppermint Mouthwash - 480ml.